Visit, tour and taste whiskey, moonshine and hard ciders at distilleries and cideries near Asheville, made with local ingredients and fresh mountain spring water in Western North Carolina. Tucked away in the rolling hills of Rutherford County is the home of Defiant American Single Malt Whisky. Located in the Golden Valley community (north of Forest City), they picked this location for the water aquifer that is right beneath the distillery. The water originates from the nearby Blue Ridge Mountain peaks and needs no filtering. Stop by to watch the crew at work. They are happy to stop to give you a tour and a sample! While the distillery itself looks like a small industrial building from the outside, you'll be amazed at what you find inside. Open Monday-Friday, 9 AM-3:30 PM for a tour. Weekends by appointment. Address: 228 Redbud Lane, Bostic, North Carolina 28018. From the main road, you'll drive a short distance down a one-lane road and take a right at the intersection of several unpaved roads to reach the distillery. New! 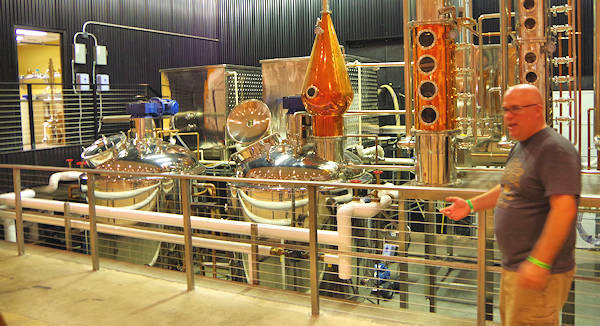 See their innovative still and take a tour to discover the secrets of great moonshine making in Maggie Valley. Highly recommended! Sample their vodka, white lightning and whiskey. Open Monday-Saturday. See our Elevated Mountain Feature. Opened in summer 2018, The Chemist (151 Coxe Avenue) is a craft distillery specializing in handmade spirits made from locally inspired ingredients. Their tasting room resembles a Prohibition-era apothecary. Sample their citrus forward American Gin and unaged apple brandy. Coming soon are lavender absinthe and aged whiskey. Located in the South Slope Brewing District. Closed Sundays. Also opened in 2018 is Eda Rhyne Distillery (101 Fairview Road, Ste A), creating farm to flask craft spirits that capture the unique flavors of Asheville and the Blue Ridge Mountains. Complimentary tastings available Wed-Sat from 3-8 PM. Casablanca Cigar Bar (18 Lodge Street) has largest walk-in humidor in Western NC and an impressive bar with 130 whiskies, craft cocktails, wine, and local draft beer. Located in Biltmore Village. Long referred to as a mecca for craft beer (see our brewery guide), Asheville is now a hot scene for hard cider. It makes sense since we have one of the biggest apple producing areas in the nation. 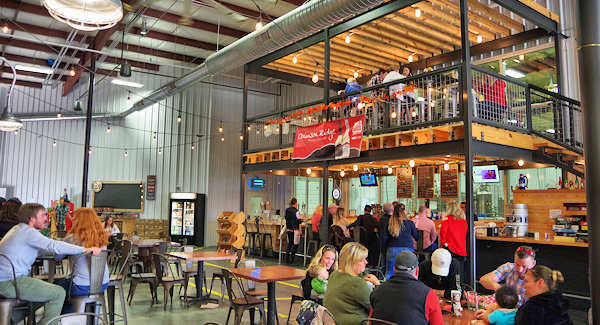 Visit a cidery in the Hendersonville area (apple country) to see the process and sample the biggest variety of ciders in the Southeast. Go to our Cidery Guide.